As you all know if you have listened to some older episodes, Marty and I really started getting into the gaming world with Decipher’s Lord of the Rings TCG. During that time, we signed up for the online version of the game developed by Worlds Apart in hopes it would give us some more opportunities to play the game that we enjoyed. It really didn’t catch on with us, but we tried online card games again by delving into Magic the Gathering Online. I still have an Xbox version, a PC version and even purchased Ascension to add to my collection of card games that I can do online. I play every once in awhile, but not that often. So where am I going with this? 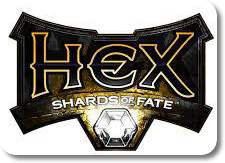 In this episode, we share an interview with Corey Jones, President and CCO of Cryptozoic, and he talks to me at Gen Con about HEX. Some of you might have backed HEX, you know, the Kickstarter that got $2.3 million. Corey gives a high level overview of the game and answers some of my questions about how they plan on maintaining fairness and handle trading of the cards. Because it is a MMO TCG, I might find myself involved in another online card game, at least for a brief amount of time. Marty and I also got to play Robinson Crusoe and as you know, we have been chomping at the bit to play. 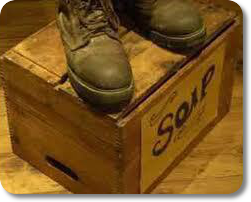 Therefore, we share our thoughts on the game and then get on our Soap Box, sorry about that, and we later learn the lack of supply should be somewhat remedied in mid December. One last thing, I sat down with a fellow Dice Tower Network podcaster, Chris Norwood, and we discussed a game he designed that is currently in the hands of Game Salute.